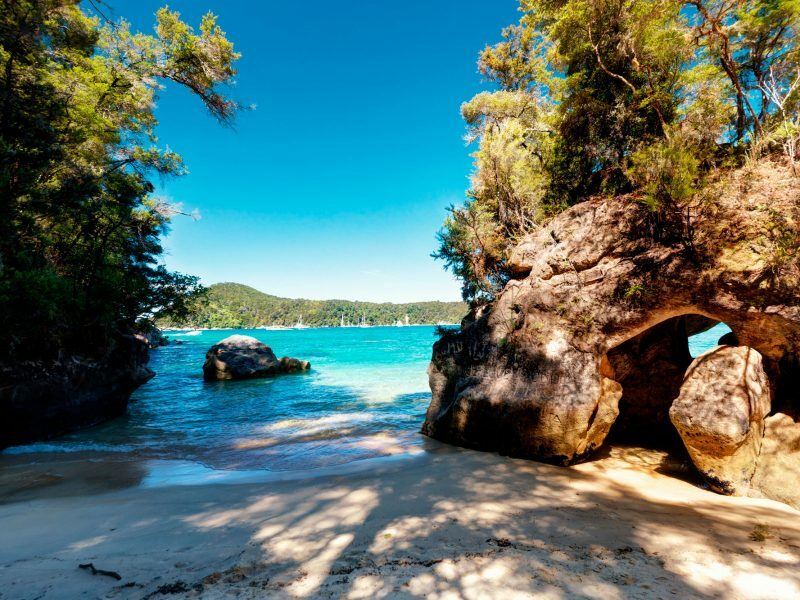 For our first night on South Island, we stayed nearby Nelson and made our way to Kaiteriteri beach the following morning to catch the Abel Tasman Sea Shuttle into the Park. The boat trip alone is absolutely mesmerising. Native birds soared next us and fur seals either frolicked in the sea or were laid on the rocks soaking up the sun. In Abel Tasman itself we stayed at the beautifully situated Peppers Awaroa Resort, which is well known for its Eco Lodge status. There are some great walks you can do from the lodge (including the Sky Track) ranging from 30 minutes to 7 hours, as well as opportunities to go off and explore by kayak. Queenstown is a gateway to a lot of activities – bungy jumping, skydiving, jet boating, it is also a 40 minute drive away from the Routeburn Track, another of New Zealand’s most famous scenic walks. The Routeburn Track takes 2-4 days to complete, weaving through beech-forested valleys, glistening alpine lakes and surrounded on all sides by spectacular views of the Southern Alps. To get a taster, I joined Guided Walks NZ for a day trip. Peter, our guide, was enthusiastic and passionate about the area and had a fantastic sense of humour too. My husband and I walked the Lake Sylvan Track, which we followed to the lake itself where we stopped for lunch and to take in the beauty of the area. The pace was relaxed and not strenuous at all, but this can be adjusted to suit the needs of clients on the day if you want a more invigorating tramp. Peter showed us how to survive in the wild, finding plants you can and can’t eat and also what you can use for medicine. He then took us to a Maori Cave where we learnt how to start a fire; it was a great moment sitting in the cave looking down on the people walking along the track who didn’t even know we were there. It really helps you get a sense of why the Maoris’ choose the area to live and hide from their enemies. Fiordland National Park: You can do short sections of the Kepler Track from Te Anau (the gateway to the National Park) – read up on the selection here. For a short stroll with beautiful sunset views, the half-hour stroll to Frasers Beach from Manapouri is a stunner. Franz Josef glacier: there are many ways to see the incredible Franz Josef glacier – including this 1.5hr return walk along a riverbed to the lookout near the glacier’s foot. Note: this track is rocky and sometime closed due to ice collapse and other factors. Glaciers should be treated with caution and visitors should follow all signs and barriers. Want more? 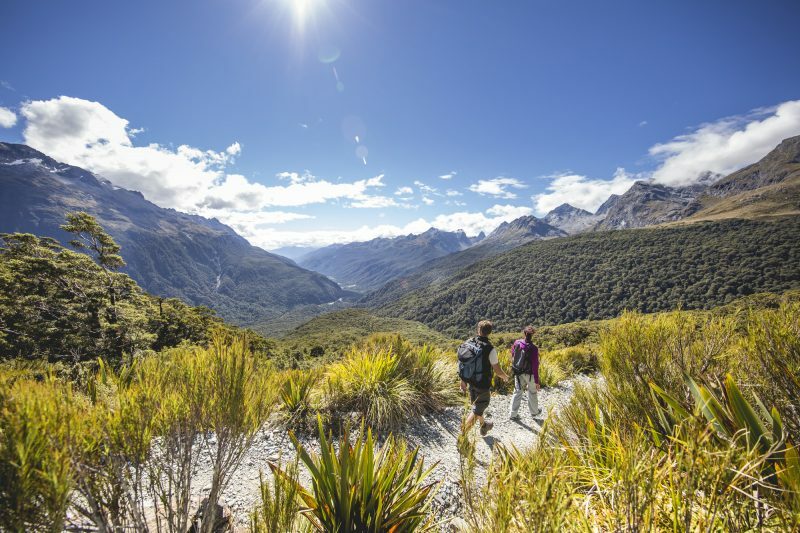 Read about all New Zealand’s 9 Great Walks.